Mr. Platt provides counsel and representation on policy, projects and compliance in the life sciences and health care, focusing on emerging medical technologies and harmonization of international standards. 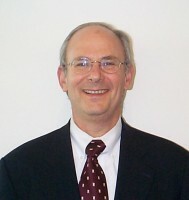 Mr. Platt has worked in the biotechnology and health care fields for many years. He has served as in-house General Counsel of The Institute for Genomic Research, as Executive Assistant to the Director and Chief of Operations at the National Institutes of Health, and as a principal in global health sciences at Ernst & Young LLP. In 1980-1981, he served as Deputy General Counsel of the U.S. Department of Health and Human Services and as Counsel and Staff Director of the inter-agency White House Agent Orange Working Group. In the 1970s, Mr. Platt served as Associate General Counsel of the U.S. Department of Housing and Urban Development, where he drafted many bills enacted into federal law. In policy matters, Mr. Platt has provided client counseling and representation on varied U.S. and international legislative and regulatory issues. His project experience includes work on research facilities and funding, including grants, contracts and alliance agreements. Additional work has included strategies, due diligence and transactions for intellectual property protection, technology transfer and commercialization. In the compliance arena, Mr. Platt has worked on a range of regulatory issues, matters and investigations involving the conduct and reporting of research, covering human subject protections, clinical trial management, lab management, scientific fraud, grants and contracts fraud and abuse, corporate risk management, quality assurance and control, and organizational governance. He has worked with biotech, pharmaceutical and medical device companies, universities and academic medical centers, hospitals, government agencies, nonprofits, investors, insurers and others. Mr. Platt is chairman of the board of directors of the Biojudiciary Project, a nonprofit organization that helps educate the federal bench, the bar and the public about biotechnology. He also chairs the Loudoun County, VA, Science & Technology Cabinet, and has taught legal and ethical aspects of bioscience management to graduate students at George Mason University. He is a frequent lecturer at industry conferences in the U.S. and internationally, with presentations given in Australia, Canada, Germany, Norway, Estonia and Sweden. Mr. Platt has no relevant financial relationships to disclose.